The internet is full of resources about health. With so many options – which sites provide accurate, solid information. The sites listed below are a great place to start. These sites have been chosen by local medical professional as good guides to better health. 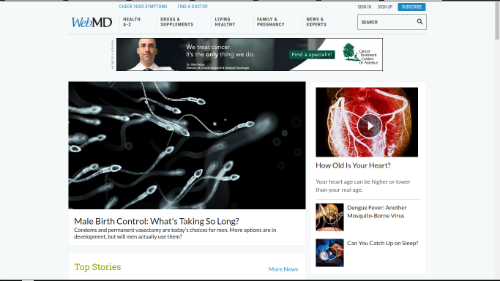 WebMD is the well known go-to resource for information for better health, the site includes tips on dealing with everyday issues like allergies and the common cold, as well as an exhaustive medical dictionary. Skinsight is a website dedicated to skin health and skin care information. The site includes visual reference of over 170 skin conditions as well as resource centers dealing with skin rash and beauty and aging. This resource was once only available to medical professionals, now patients have access to UpToDate.com! The aim of this site is to help its visitors learn more about medical conditions, and how to better understand their management and treatment options, Have better dialogue with health care providers – it all starts with a simple search! 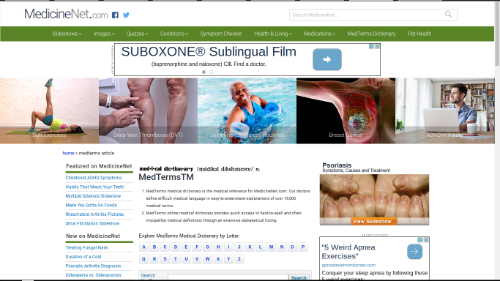 Medterms is a portion of the larger MedicineNet.com. It is a medical dictionary offering definitions of medical terms.